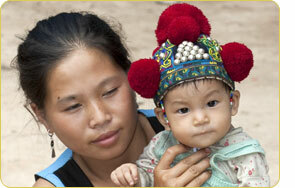 nancy, delivery, and postnatal care that can be offered by health professionals to prospective parents in every country. This course has been developed by an international group of experienced pediatricians, obstetricians, gynaecologists, and nurses from several countries, as well as aromatherapists and specialists in other relevant aspects of Maharishi’s holistic integrative approach to health, and working with well-known Maharishi AyurVeda physicians from India, those whose family traditions in AyurVeda (Science of Life) date back thousands of years. 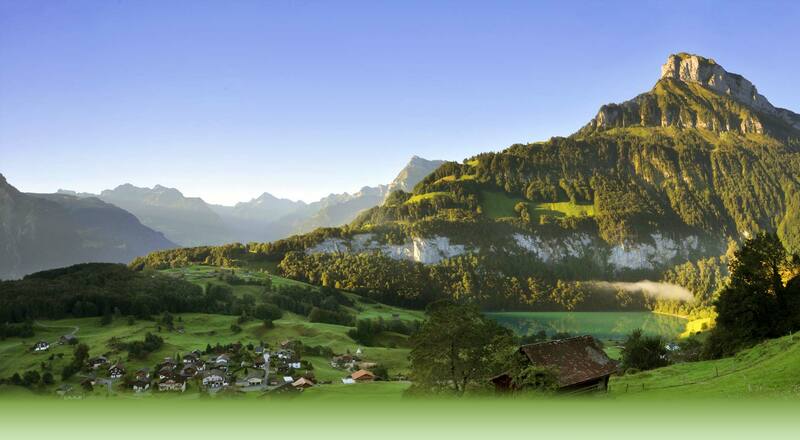 Course participants will be comfortably housed in the historic International Capital of Maharishi’s worldwide Movement in the pristine atmosphere and majestic beauty of the Swiss Alps in Seelisberg. The course will begin in the morning on 15 August with the orientation and a course overview, and will end the evening of 17 September 2015 with the review of the course, celebration, and graduation. Course participants should arrive in the late afternoon, in time for evening programme on 14 August 2015 and plan to leave on the morning of 18 September. Course participants for the 16-lesson course on Good Health through Prevention should arrive on 6 August in the evening. 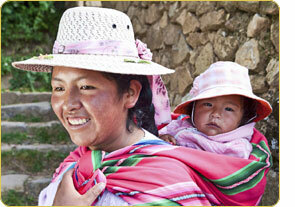 The course fee for the 16-lesson Good Health through Prevention course is CHF 487. The course fee for the one-month (33 days) Maharishi AyurVeda Family Health Series—Course One—Healthy, Happy Mother and Baby is CHF 4,843. Those who practise the Transcendental Meditation Programme should apply for a discount. Accommodation for the Good Health through Prevention course (8 nights) is CHF 520 for a double room (at CHF 65 / night) and CHF 680 for single accommodation (at CHF 85 / night). Accommodation for the one-month course (35 nights) is CHF 2,275 for a double room (at CHF 65 / night) and CHF 2,975 for single accommodation (at CHF 85 / night). BLOCK ONE—Optimizing the Health of Prospective Parents for Preconception—the Basis for the Development of a Healthy, Happy Baby. 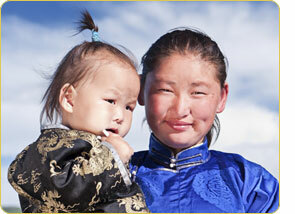 Maharishi AyurVeda’s recommendations for both parents to strengthen and bring balance to mind and body. 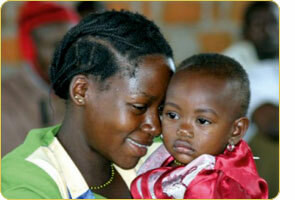 Preparing for a healthy conception includes the importance of ‘Muhurta’ (auspicious timing). 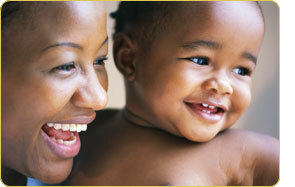 BLOCK TWO—Healthy Pregnancy through Healthy Diet and Healthy Lifestyle, and Healthy Delivery. Recommending a month-by-month dietary and lifestyle programme, including suitable exercise, massage, aromas, etc., including the father’s role and his needs. BLOCK THREE—Postnatal Care to Nurture Both Mother and Baby—Providing a Blissful Surrounding to Lay the Foundation for Healthy, Happy Life. 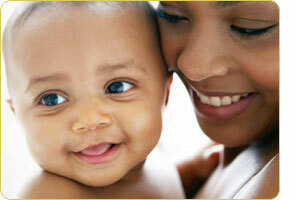 Detailed guidelines for every aspect of postnatal care for both parents and baby. BLOCK FOUR—Prevention of Imbalance and Restoration of Balance through the Maharishi AyurVeda Multi-Modalities Approach to Perfect Health. Training of physicians in all the practical aspects of Mother-Baby care with Maharishi AyurVeda herbs and food supple-ments. This includes a lot of practical knowledge for maintaining the good health of Mother and the healthy development of her child. This is a course for women doctors, nurses, and other health professionals who are interested in promoting this valuable knowledge in their countries. While the practice of Transcendental Meditation is recommended for all course participants, it is not required in order to apply for participation in the course. Course participants will be expected to learn during the course, or on completing the course, to qualify fully as consultants. The development of higher states of consciousness is the most important aspect of Maharishi AyurVeda and contributes to the success of the Maharishi AyurVeda Family Health Series—Healthy, Happy Mother and Baby Programme. Over 350 peer-reviewed scientific research studies on the Transcendental Meditation programme document the benefits for mind and body. Videotaped lectures have been made especially for this course by renowned doctors as well as experienced Maharishi AyurVeda physicians. Lectures by Maharishi will also be played during the course. We are fortunate to have two eminent health professionals leading the course who have been instrumental in developing different aspects of the course—Dr Snehalatha SN Dornala, B.A.M.S., M.D., Ph. and Dr Sophie Beall. Dr Snehalatha was a Lecturer at Amrutha Ayurvedic Medical College and Hospital, Chitradurga, Karnataka and at PMT’s Ayurved Mahavidyalay, Shevgoan, Ahmednagar, Maharashtra and is currently an Associate Professor at VYDS Ayurved Mahavidyalay, Khurja, Uttar Pradesh. She was awarded the AYURVISHARADA by the Himalaya Drug company, Bengaluru for meritorious performance at BAMS level. 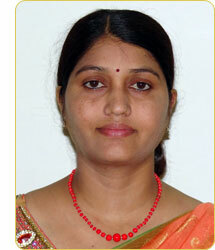 Dr Snehalatha introduced the new terminology Pediayutrics (Ayurvedic Pediatrics). She has revived the Ayurvedic practice of Oil Birthing (application of Pizhichil for Eutocia/Sukha prasava) with which she has had great success, as well as introducing Ghrita Dhara into her clinical practice for the effective treatment of Autism Spectrum Disorder, Cerebral Palsy, Mental Retardation etc. She authored the books and scientific articles on Ayurveda in different journals. She is also the peer reviewer and editorial board member of the many ayurvedic journals. Dr Snehalata is a Life Member of National Academy of Panchakarma and Research (NAPAR) and also works with her husband, Dr Sathya Narayana Dornala, who is M.D., Ph.D in Panchakarma specialising in the Ayurvedic science of Rasayana—rejuvanative therapy. 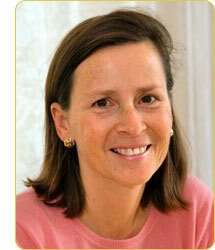 Dr Sophie Beall is the Medical Director of the Maharishi Ayurveda Health Centre in Seelisberg, Switzerland. Her interest has always been the integration of modern medicine with natural health care. She did her internship and residency at the University Hospital of Toulouse, France. She graduated in 1989 as a medical doctor and specialized in Paediatrics, in Family Medicine and in Public Health. Her thesis in Paediatrics received the highest appreciation. She also earned a Masters in Computer Science, Statistics and Epidemiology applied to Medicine. Her training in AyurVeda started in 1981 and was completed after a number of training courses in India and Europe with renowned AyurVeda experts, including Asthavaidyas Moos and Nambi from Kerala. She is trained in Pulse Diagnosis (Nadivigyan), in Ayur-Vedic phytotherapy (Dravyaguna), in Cleaning and Rejuvenating Therapies (Panchakarma), and more recently in Aromatherapy. She wrote her thesis in Public Health on the reduction of health-care expenses through AyurVeda. From 1995 to 2002, she gained extensive experience in the treatment of chronic diseases by AyurVeda at the Maharishi Vedic Health Centre, Holland and has taught Maharishi AyurVeda to physicians and health professionals from all over Europe. In 2000, she moved with her family to Switzerland and in 2003 became the Medical Director of the Maharishi Ayurveda Health Centre in Seelisberg, Switzerland. The health professionals who graduate from this course will receive a Certificate from the Maharishi School of Vedic Medicine that they can display in their practice. There will be an agreement form to sign, which will guide them as to how to use the knowledge they have gained. All course participants will be taking home comprehensive materials covering the subject matter of each lesson, as well as useful tips and recipes. They will receive a ‘VEDAROMA MOTHER and BABY Gift Basket’ and Maharishi AyurVeda baskets with products that are recommended for each part of the course, with a list and samples of products that VEDAROMA is preparing for mother and baby. Dr Charlotte Bech, an experienced obstetrician and well regarded specialist in Maharishi AyurVeda with regard to mother and baby care; Dr Karin Pirc, Medical Director of the Maharishi AyurVeda Health and Seminar Centre in Bad Ems, Germany, which is accredited as a state recognized private hospital; Dr Sophie Beall, a specialist in pediatrics, family medicine, and public health, who has always been involved in integrating modern medicine with natural health care. She is currently Medical Director of the Maharishi AyurVeda Health Centre in Seelisberg, Switzerland; Dr Maiu Plado, medical doctor, Estonia, specialising in research in consciousness through Maharishi's Vedic Science and Technology of Consciousness; Dr Lorenza Ghargetti, pediatrician, Italy, an expert in high-risk newborns and prenatal care; Dr Rosie Geelvink, Director of the Department of Maharishi Aroma Therapy, Maharishi College of Perfect Health, The Netherlands; and Margaret Mullins, MSN, Certified Pediatric and Family Nurse Practitioner, USA. Dr Vaidya Manohar Palakurthi, Ayurvedacharya (BAMS) Bachelor in Ayurvedic Medicine and Surgery; Ashtavaidya E.T. Ravi Mooss, Ayurvedacharya (BAMS) with specialisation in Panchkarma from the NRIP, India, is a custodian of the Ashtavaidya tradition of medicine in Kerala, India, that has evolved over centuries without compromising its fundamental principles that are vital for the future of traditional medicine; Dr Arya R Mooss, Ayurvedacharya (BAMS) with a specialisation gynaecology and obstetrics; Dr Vaidya Prathmesh Vyas, Ayurvedacharya (BAMS) with a special interest in Aromatherapy in AyurVeda, belonging to a traditional family of Ayurvedic doctors going back five generations, in Jaisalmer, Rajasthan, India; Dr Vaidya Rohit Bartake, Ayurvedacharya (BAMS) with specialization in Gastroenterology, Dermatology, and Gynecology; Dr Professor Satyanarayana Dornala, Ayurvedacharya (BAMS) Ayurveda Vachaspati (MD) Ayurveda Vidya-Varadhi (Ph.D) Panchakarma Visheshagna, Vaidya-Vaignyanik Vaidya—Fellow with speciality in Rasayana, the very specialised rejuvinative therapies in AyurVeda, Panchakarma, Geriatrics, Psychology, and chronic disorders; Dr Professor Snehalatha Dornala, Ayurvedacharya (BAMS) Ayurveda Vachaspati (MD) Ayurveda Vidya-Varadhi (Ph.D) Stri Prasuti Bala rog Visheshagna, Infant and Young Child Feeding (IYCF-UNICEF), Ayurvisharada with a specialty in mother and baby care, painless delivery, childhood developmental disorders, and Panchakarma for children. These highly qualified Ayurvedic doctors from all parts of India are the international consultants of Maharishi AyurVeda and its Perfect Health Centres worldwide. Ayur means ‘Life’, and Veda means ‘Total Knowledge’. These experts in the field of AyurVeda have brought the full dignity and authority of the traditional authentic Vedic Science and Technology of Health to bear on every aspect of this programme for mother and baby. We look forward to their continued contributions in the development of the advanced courses for doctors and nurses. Several others have participated in various aspects of the course. E very newborn child is a very precious expression of divine intelligence who deserves to grow in health, happiness, and enlightenment. The Maharishi School of Vedic Medicine has these highest ideals in mind when introducing the time-tested knowledge of Maharishi AyurVeda in the context of mother and baby care. Maharishi School of Vedic Medicine welcomes all women doctors, midwifes, nurses, and other health professionals of the world to take advantage of this simple, pure, safe, and complete approach to health for mother, father, and children, to secure healthy, happy, problem-free life for this and all future generations.